depending on the outcome of this i guess will find out soon enough if trump is cleaning the swamp or is truly a new host for the swamp. 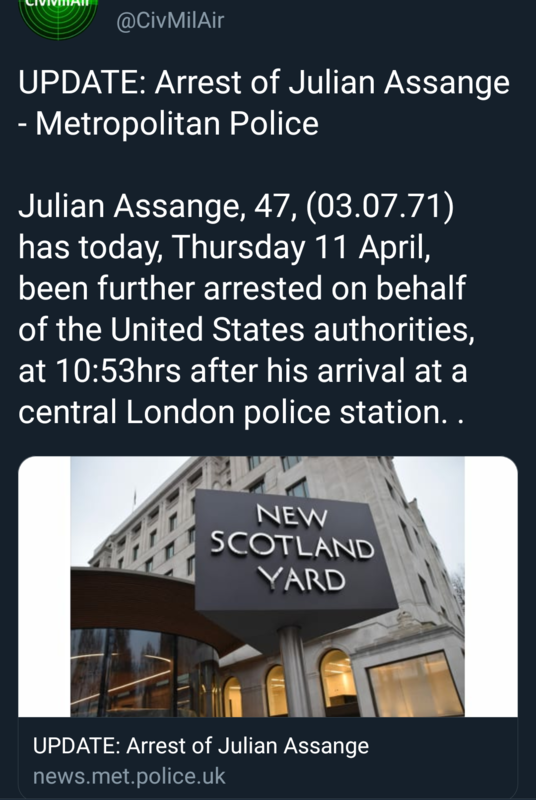 I mentioned Trump releasing Assange earlier....Until the Swamp is drained and the Deep State is vanquished, it would be best for Assange and his continued good health to remain under complete protection from them. Even if all the bad stuff were to come out about them, they would probably kill Assange just for spite. 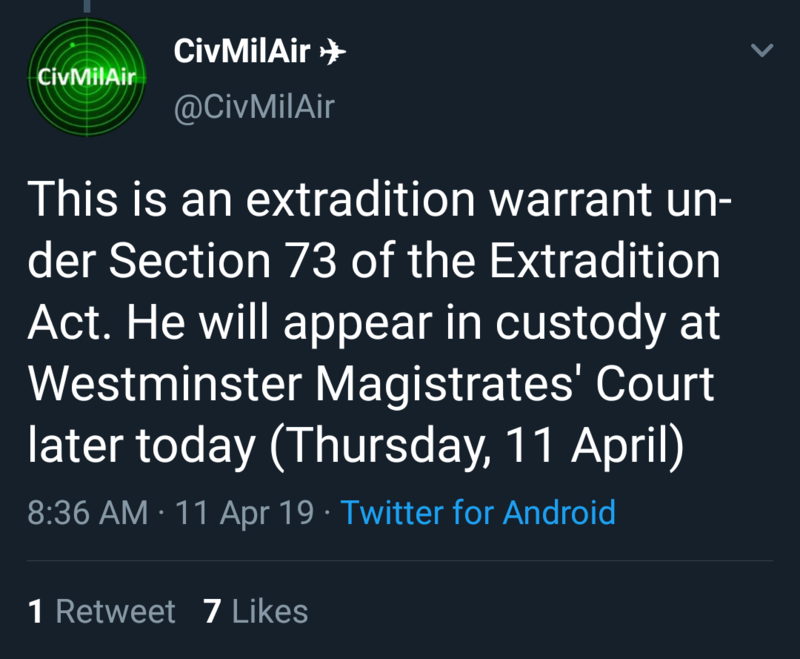 Perhaps they got intel that someone was planning on assassinating Assange in the near future? I swear I just read something last week or so about someone attempting to break into the Ecuadorian embassy? Perhaps this is all just a show and Julian is well aware of what is happening? Time to bring him to the USA and spill the beans on everything he knows? I'm tending toward Butcherguy's thoughts. This is a "show" as Q has promised. Everything is scripted and Assange will play along because his choices are limited. He may have to grant access to NSA if they don't already have it. The Deep State is likely in a quandary. If Assange has an accident, the switch is activated. If he makes it alive to the US the switch may or may not be activated and the Deep State has only to hope that they can sow discord and confusion during any testimony. Kinda odd Qmap.pub does not have JA as a “Player” in the game yet he is as important as the server which we have been told “the server” brings down the house. Majority of the several drops of “JA” are directly tied to SR 187 and how MS-13 was used. LOS ANGELES – Officials with the Justice Department and the Internal Revenue Service will announce the filing of a 36-count indictment naming Michael Avenatti.